A “Master of communication at the service of the Church,” is how Father Federico Lombardi, SJ, former Director of the Holy See Press Office, described his predecessor, Joaquin Navarro-Valls, who died on July 5, 2017 at the age of 80. “I met Navarro-Valls personally when I came to work at the Vatican as the Program Director of Vatican Radio, at the beginning of the year 1991,” wrote the President of the Ratzinger-Benedict XVI Foundation. At his side in the “papal entourage” during John Paul II’s numerous journeys, the Jesuit remembers him as an “agreeable, friendly and cordial” man. “The exceptional length” – 22 years – of his mandate at the head of the Press Office, “his authority, efficiency and the quality of his work universally recognized” made of his direction “a time that will probably remain unique” in the history of the Vatican’s communication. 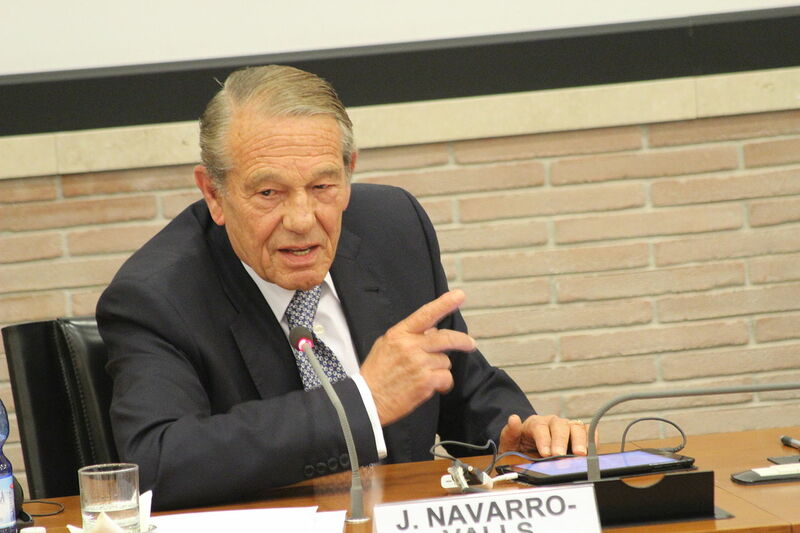 Joaquin Navarro-Valls “rendered a service of inestimable value to the Church,” he added. And, by way of conclusion, “He has always remained a friend for me, an example of discreet, true and profound spiritual life, fully integrated with his work, a model of engagement at the service of the Pope and of the Church, a Master in communication, even if he was, for me, inimitable.